In politics, it is sometimes impossible to avoid encountering heated exchanges between political opponents. 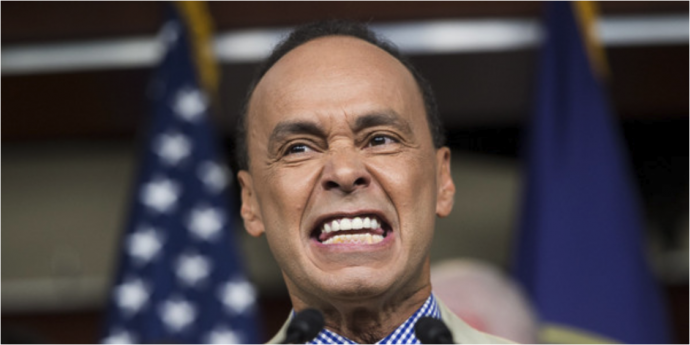 Recently, Illinois Democratic Congressman Luis Gutierrez leveled charges at White House Chief of Staff retired U.S. Army General David Kelly. While Kelly’s response was pointed, it was not nearly as harsh as those of Hispanic 100 spokesman Steve Cortes. His supporters have given him the nickname El Gallito — the little fighting rooster — in reference to his fiery oratory and political prowess. Often when I’ve seen Gutierrez in the news, I’ve been distracted by his tone and it has, at times, been difficult to listen to what he is saying. [Steve] Cortes, a former member of President Donald Trump’s Hispanic Advisory Council, responded to criticisms Gutierrez leveled against Kelly, a retired four-star Marine Corps general and Trump’s former secretary of the Department of Homeland Security, after the administration announced a cancellation of the Deferred Action for Childhood Arrivals (DACA) program. Cortes bashed Democratic politicians for shying away from debating policies “rationally” and instead choosing to label Trump and other GOP members as “racists” if they support immigration enforcement measures. “They automatically play the racist card that’s almost become the Left’s version of sort of McCarthyism … ‘We can’t debate policy. We’re going to call you a bigot immediately,'” Cortes said.